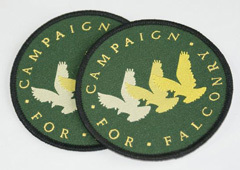 Enlarge Photograph Campaign for Falconry embroidered cloth badge. (3") All proceeds go to CFF which in turn helps us all to preserve our sport. New style badge coming soon. 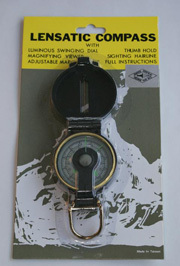 Enlarge Photograph This is a Lensatic Compass, with hinged case, luminous dial, magnifying viewer, adjustable merching line and sighting hairline. Comes with full instructions........which is just as well cos I don't have a clue how to use it. 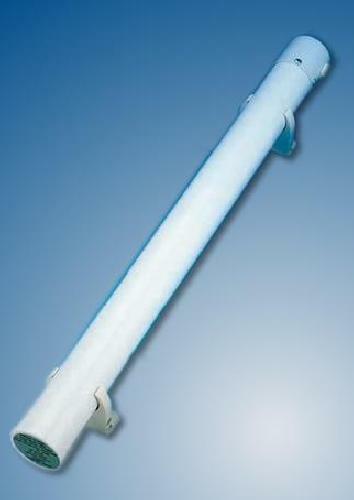 Enlarge Photograph This product is air activated, non-toxic, odourless and can be used over and over again up to 24 hours. Probably less fun that keeping your hands in your trouser pockets but saves you going blind! These badges are priced to clear in an effort to raise funds. All proceeds go to the Campaign - the people working with the Hawk Board to keep our sport alive and legal. Buy a badge and help our sport. 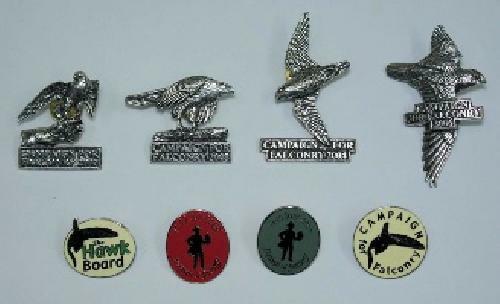 NB: limited stock available - All pewter pins are out of stock, only the cream Hawk Board badge, and the red Festival of Falconry badge are available. This heater is 305mm long and uses a mere 45w of power, so it's cheap to run. It is in a white enamel finish, is CE certified for safety and comes complete with mounting brackets and one metre lead ready to use. Fix this somewhere near your bird's night roosting perch and it will be sufficient to keep the temperature to a comfortable level on even the coldest night. Used in conjunction with a thermostat (that saves you walking outside in the freezing cold) your feathered friend will love you for it. We now also stock a 55w x 500mm with built-in thermostat and 2 metre lead/plug. 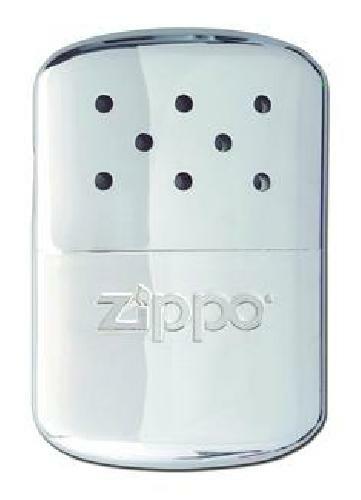 At last, I have stock of these brilliant hand warmers.� Constructed from highly polished stainless steel they will last for up to�12 hours and are fuelled by lighter fluid. (not supplied) Complete with drawstring pouch, two year warranty and full instructions. 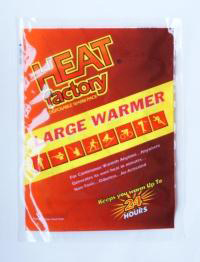 Slip it in your trouser pocket and it will keep more than your hands warm! Exactly what it says...........a battery tester. An essential pice of kit that can be kept in your hawking bag or in the car so that you are always able to check the battery condition of your telemetry transmitters and receiver. Many other uses around the home too! Do you dig digging? If so, you'll love this tough little folding spade. It comes in its own nylon case (with belt loop) and measures when folded 23.5cm long x 15.5cm wide x 5cm. When in the open/fixed position it measures 59cm long and has a sturdy steel blade. This great tool can be used for digging out those pesky ferrets that are laying up, shifting snow or mud when your car gets in trouble or just taking a dump in the field! Strictly speaking this is an 'S-Biner' but let's be honest, who cares what you call it - I call mine Dave! Beautifully crafted in stainless steel this biner can be used for just about anything you can think of. Some people use them for carrying keys, whistle.........you name it. Measuring in at 4cm long or 1.5 inches for us old farts. 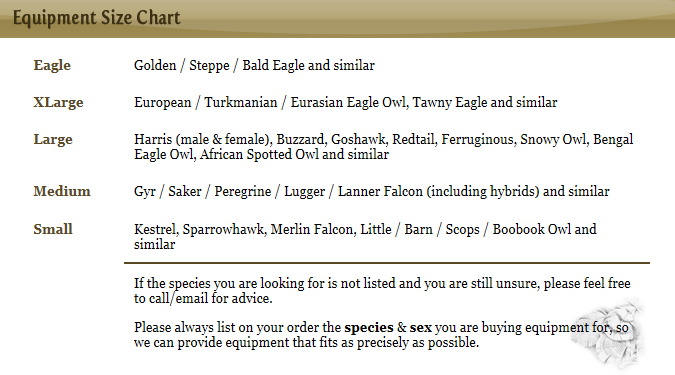 A REALLY useful addition to any outdoor sportsman's kit. Carry weight is recommended not to exceed 5lb for this size.